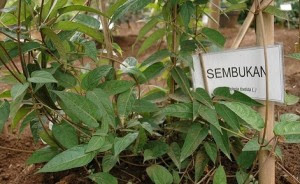 Medical plant daun kentut have botanical name Paederia scandens (Lour.) Merr.) 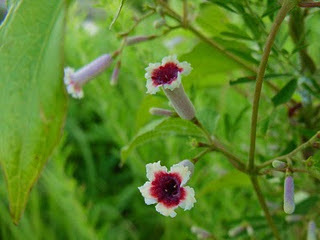 , wood, 3-5 m. long wild growing in the open field, in the forest or on the rocks the River, sometimes extends fence page as a medicinal plant and can be found from 1-2. 0000 1 m points per inch. Single sheet is 1-5 cm in length, is located on the other hand, a round shape with oval or elongated eggs. Leaf shaped retention pin holder base, tapered tip, flat edge, 3 up to 12.5 cm in length, 2-7 cm wide, the upper surface of the hairy or bald, bones are pinnate leaves, when crushed smell pukaet. Flowers in panicle compound interest, of leaves branching tip or armpits. White petals, the inner tube dark purple. Fruit round, yellow, brilliant, 4-6 mm long. . Reproduction grown medical plants by seeds. PART applies: all herbs or roots. Once collected, washed, dried than store in dry place, which will be used when necessary. Pain in the wound, the eye or ear. dysentery. · Bronchitis, cough (pertussis). Decrease in leukocytes (leukopenia) due to radiation (radiation)-Toxicity organic phosphorus in agricultural products. -Urine does not own the USE: To drink: 15-60 g boiled egg. the grass after sufficiently blurred milled smooth for boil is sick or herbs like boiled egg, water for washing. Is used to treat inflammation of the skin(dermatitis), eczema, wounds, abscesses, furuncles, ulcers on the skin, venomous snakes.